The dead can speak. They need her to listen. Ever since Riley Thomas, reluctant medium extraordinaire, accidentally released a malevolent spirit from a Ouija board when she was thirteen, she's taken a hard pass on scary movies, haunted houses, and cemeteries. Twelve years later, when her best friend pressures her into spending a paranormal investigation weekend at the infamous Jordanville Ranch—former home of deceased serial killer Orin Jacobs—Riley's still not ready to accept that she can communicate with ghosts. In order to put the young boy's spirit to rest, she has to come to grips with her ability. But how can she solve a mystery that happened a decade before she was born? Especially when someone who knows Orin's secrets wants to keep the truth buried—no matter the cost. I absolutely enjoyed reading this chilling debut. It has everything that makes a book impossible to put down: a gripping creepy plot, a scary serial killer villain, and fun and interesting well-developed characters that will make you laugh one minute and cry out in fear the next. Riley Thomas is a introspective, intelligent, and totally relatable psychic heroine, who despite her own paranormal baggage and fears, risks her life to solve crimes to save the lives and souls of others who haven’t been able to move to the next spiritual level. The author is an excellent writer and has a way of pulling the reader into the story and keeping him/her there. 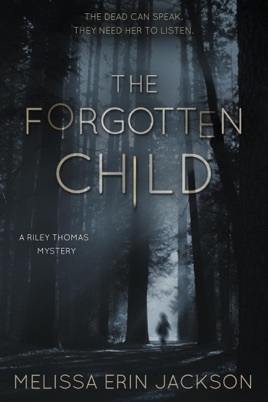 I strongly recommend this book, and am so looking forward to a Riley Thomas sequel.